Mesa Boogie TC-50 Combo - British Tan Bronco, Gold Jute | Northeast Music Center inc.
As one of the largest Mesa Boogie dealers in the east, Northeast Music Center is proud to bring you Mesa's powerful Triple Crown 50 with custom options to make it look as good as it sounds! The new 3-channel, 50-watt, EL-34 powered Triple Crown™ TC-50™ from MESA Engineering® captures the essence of Rock with the ability to inspire new genres in a way only MESA® can. Emanating from the “other side of MESA” that spawned Rock’s iconic Dual Rectifier®, this new platform features a bold set of new circuits unlike anything else in our line. 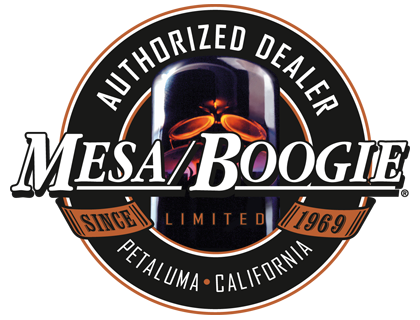 Northeast Music Center is a full line Music retailer located in Northeast Pennsylvania- We are a Authorized MesaBoogie Dealer and purchase these products direct from MESA HEADQUARTERS IN PETALUMA CALIFORNIA. We do not obtain our MESA AMPLIFIERS or other MESA products from "jobbers" or other dealers. Our MESA AMPLIFIERS AND CABINETS come to you in the factory boxes with factory packing material. We will, upon request, and also randomly, open the box prior to shipping to check that all contents are included and that no damage has been found in shipping from MESA to our Store location. Northeast Music Center does reserve the right to sell these products in our store to daily walk in customers. It is our goal to always have this product in stock and if for any reason we sell out, we will reorder immediately as long as this MESA AMPLIFIER is currently produced for resale by the company. We will order the amplifier in a ample quantity to fill your order. It is our goal to make your experience a good one; We invite you to ask any and all questions about this product. Our store number is 570-909-9216 if you wish to call direct Please do not purchase this item if you can not pay. This is a new Mesa with full 5 Year factory warranty.